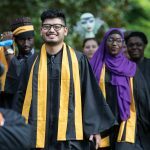 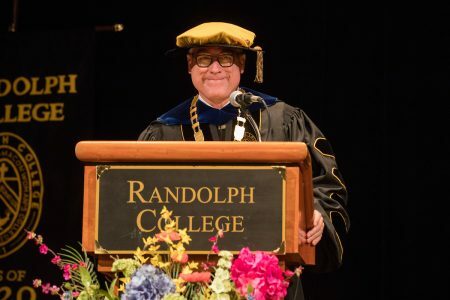 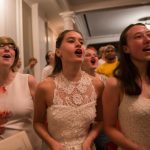 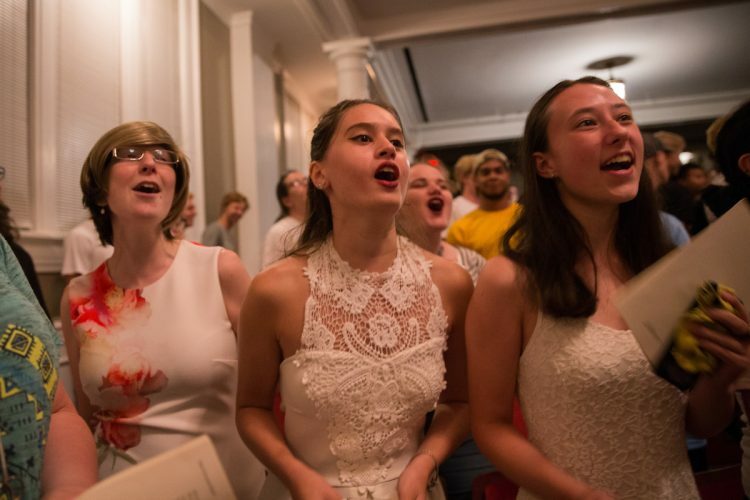 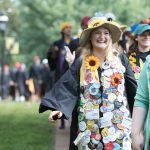 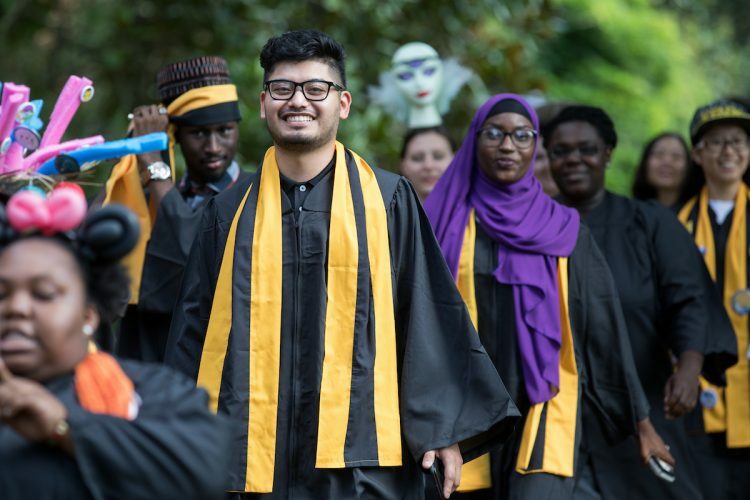 President Bradley W. Bateman delivered a message about respect and community as key ingredients for an abundant life Wednesday as Randolph College officially marked the beginning of the 2018-19 academic year with Convocation. 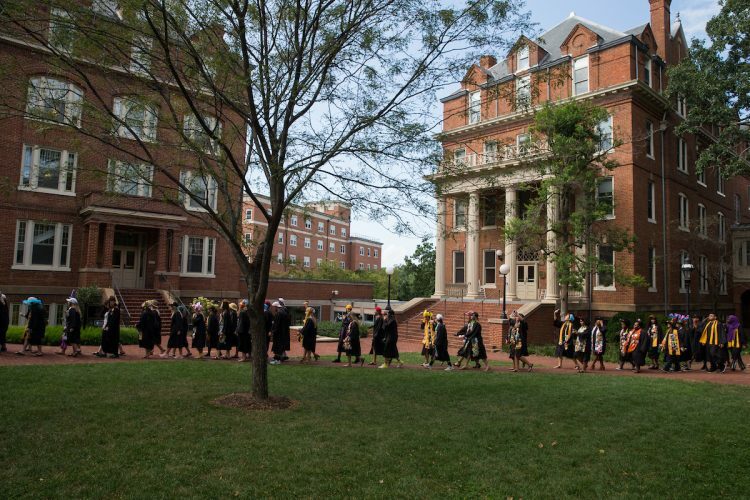 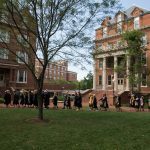 The ceremony began with the traditional procession of faculty and seniors from Main Hall into Smith Hall Theatre. 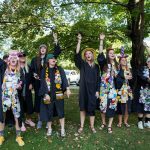 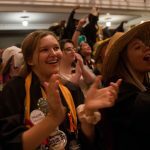 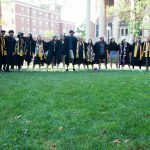 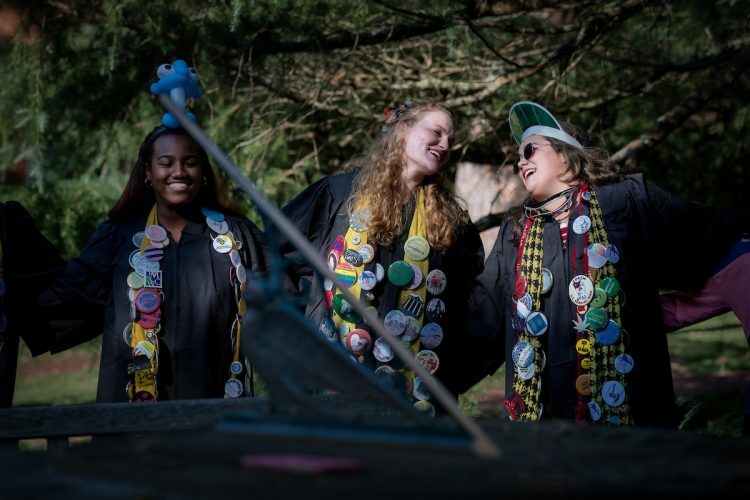 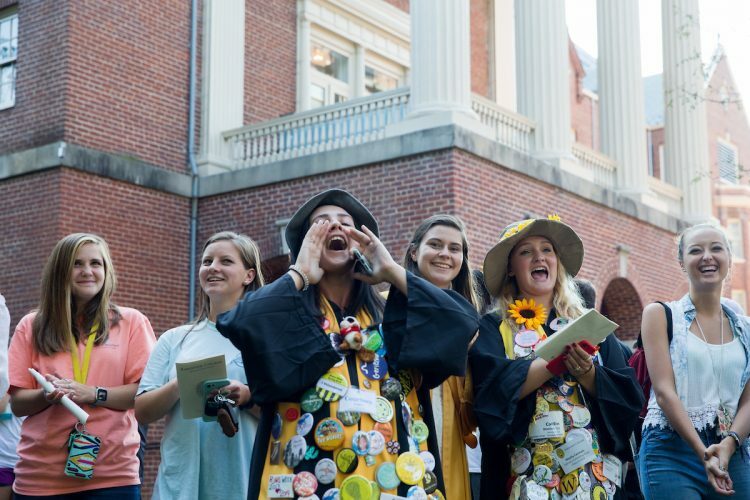 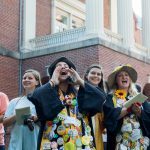 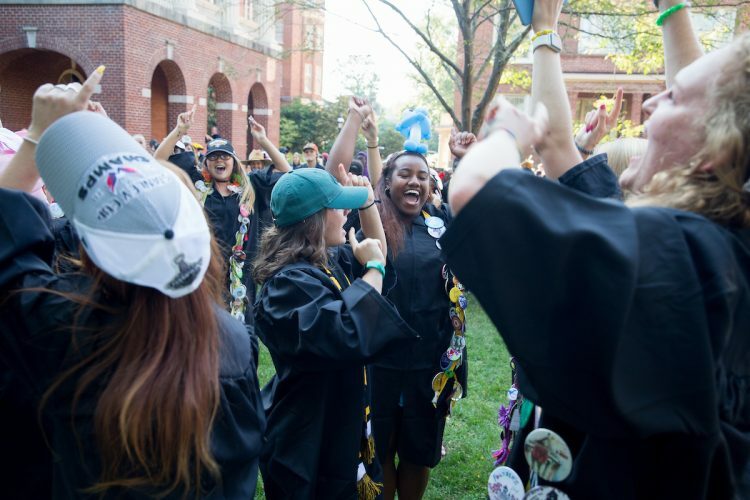 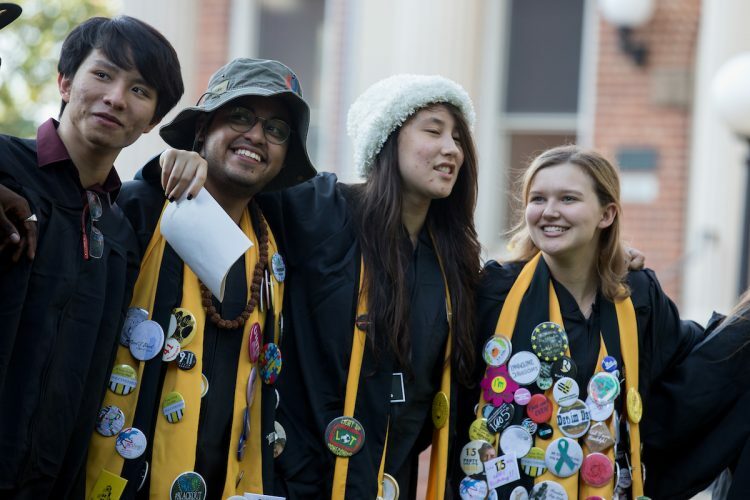 Also following tradition, seniors wore funny hats and graduation robes decorated with buttons as they exchanged cheers and songs with the sophomores. 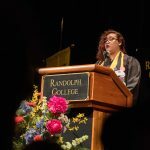 During the event, Carl Girelli, vice president for academic affairs and dean of the College, presented several awards to students and faculty. 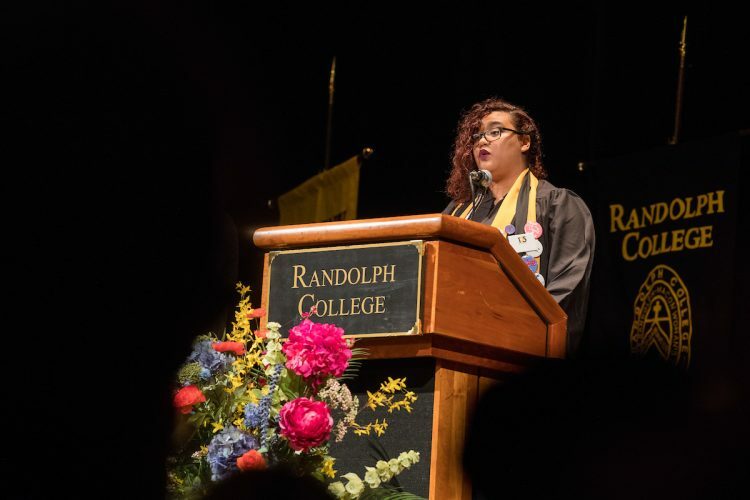 Jude Quintero ’20 earned the Phi Beta Kappa Book Award, which is given annually to the junior who has attained the highest grade point average in her or his class. 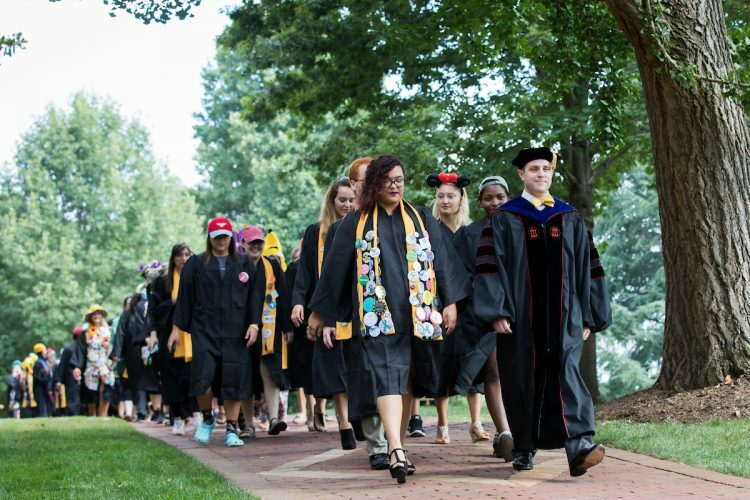 Music professor Emily Yap Chua received the Katherine Graves Davidson Award, which recognizes a member of the full-time faculty who has been outstanding in bringing distinction to the College. 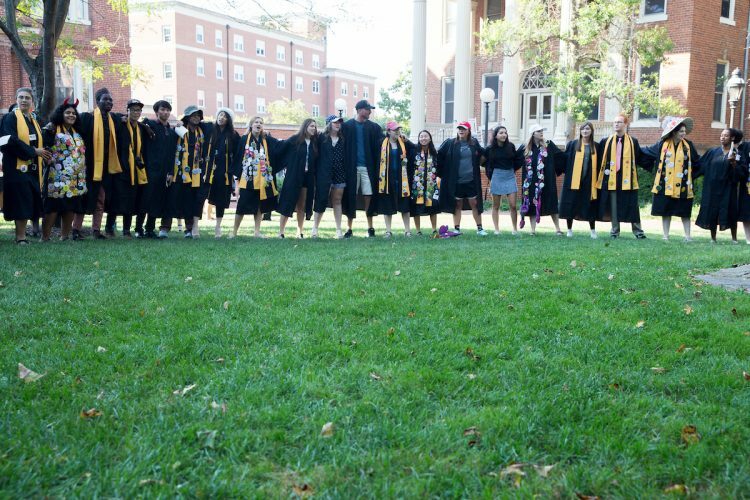 Economics and business professor Jeff Heinfeldt was awarded the Katherine Graves Davidson Scholarship Award, which recognizes the importance of faculty research, scholarship, and achievement. 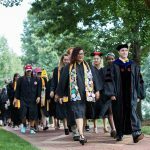 English professor Gary Dop was presented the Gillie A. Larew Distinguished Teaching Award, which is given to a member of the faculty who has demonstrated excellence as a classroom teacher. 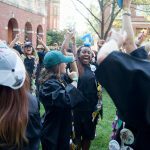 Tori “Tea” Green ’19, president of Student Government, welcomed her fellow students and spoke about having courage in the face of change. 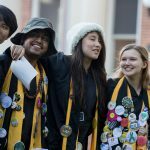 Green addressed some of the changes that each class is currently facing. 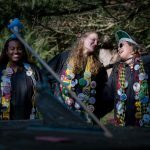 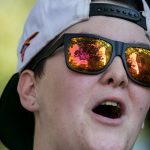 First-years, she said, are away from home for the first time and starting college. 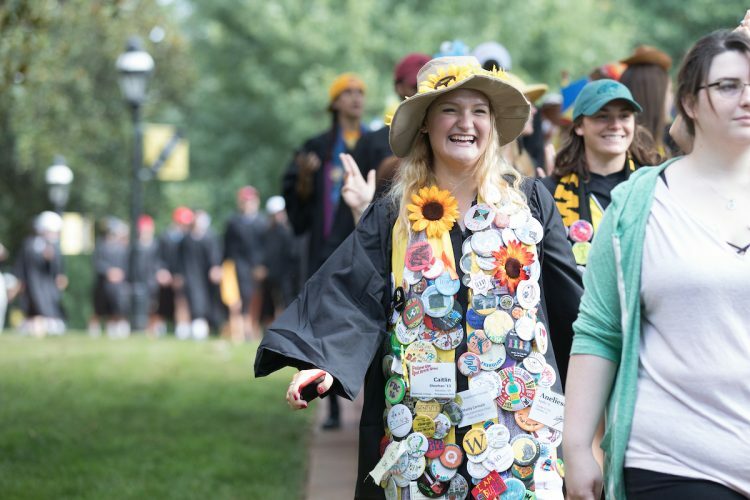 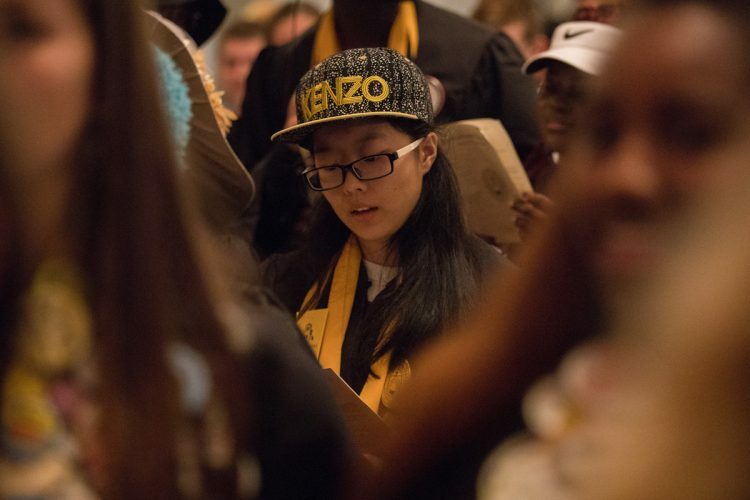 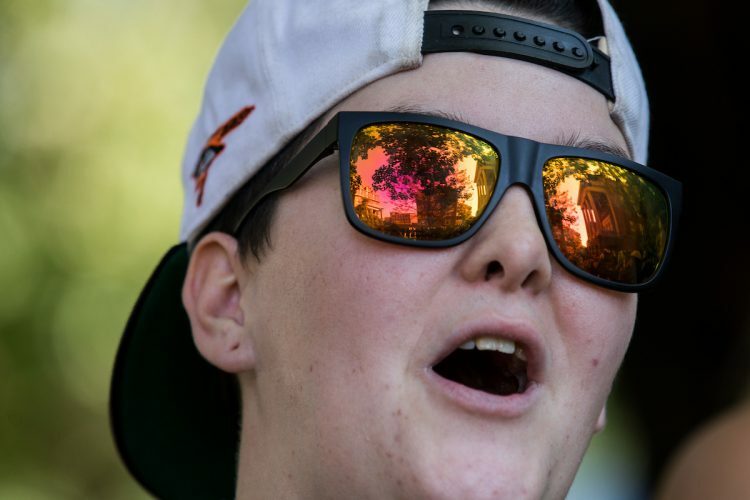 Sophomores are declaring majors, taking harder classes, and becoming more involved on campus. 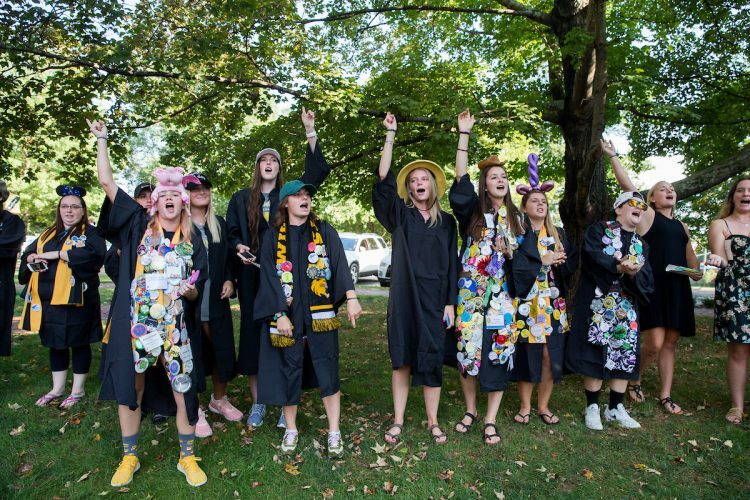 Meanwhile, juniors and seniors are taking on even more responsibilities and thinking about “what’s next” after college. 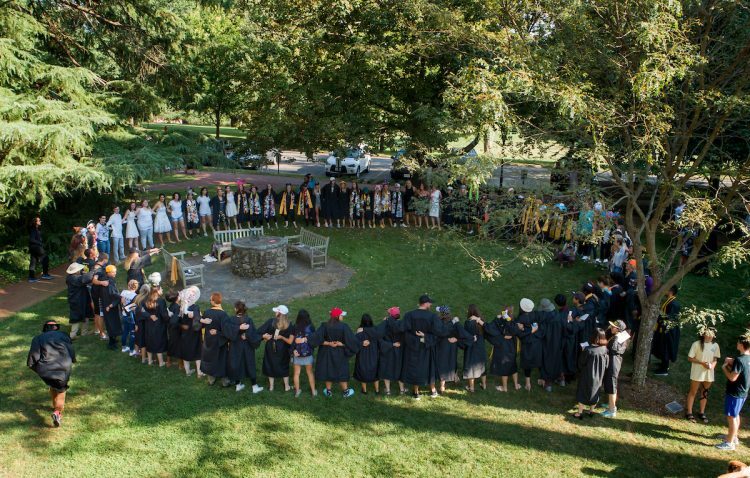 Bateman echoed Green’s sentiments about embracing and adapting to change in his remarks. 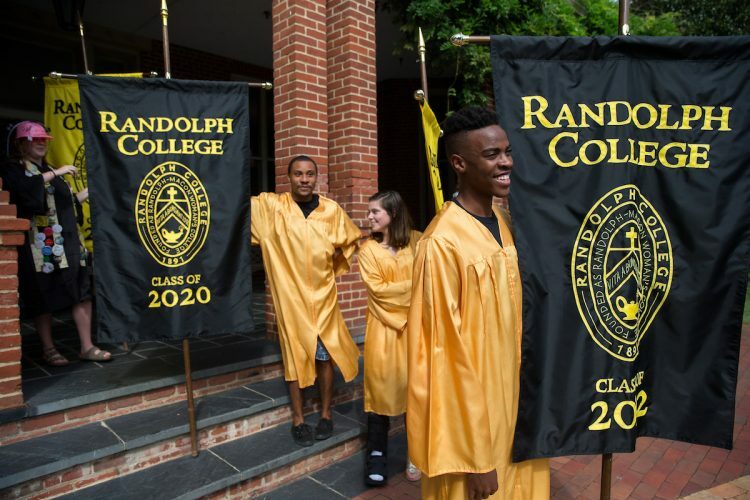 He touched on some of the changes happening at the College this year, including the new RandolphConnect networking platform and the new Common Experience curriculum for first-year students. 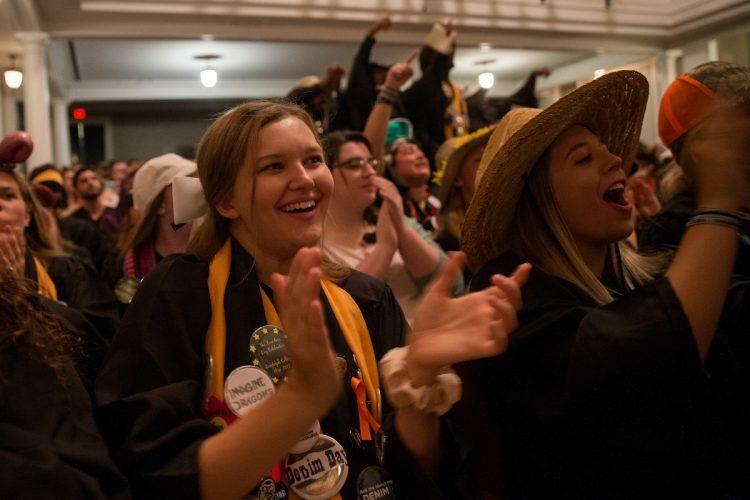 The program is themed around the College motto, Vita Abundantior—the Life More Abundant. 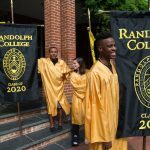 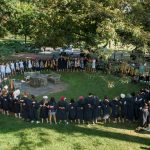 Bateman said one of the ways Randolph supports and prepares students for an abundant life is its close, respectful community.